The protein-rich and nutrient dense whole plant solves supply issues for the food industry looking for healthy and sustainable alternatives to conventional ingredients. The high yielding water lentil doubles its biomass in 24-36 hours and can be harvested every day. The ingredient is labeled LENTEIN Complete (whole Lemnaceae protein powder). The protein in LENTEIN is similar to that of an animal protein which is “unheard of in the plant protein category.” LENTEIN contains levels of essential amino acids and BCAA’s that are comparable to whey, higher than other plant proteins including soy, and has a PDCAAS of 0.93. The ingredient contains other macro and micronutrients notably omega 3 fatty acids, lutein, dietary fibers and is free of food allergens. “Getting a no objections letter goes beyond our strict compliance to industry standards and reaffirms our company’s values of transparency and safety,” says Anthony Tiarks, Parabel’s CEO. The FDA progress means a lot for the more conventional food industry, Cecilia Wittbjer, VP of Marketing tells FoodIngredientsFirst. “The supplement industry have their own standards and most have been happy with just the GRAS confirmation,” she explains. “It also means that we will be able to fast-track regulatory in areas of the world where they take the FDA regulation as their standard,” she adds. 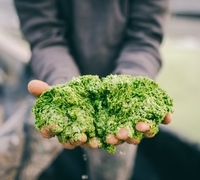 “Some countries are able to import LENTEIN under the vegetable protein label, in others, they have already accepted water lentils as food since long ago but some were waiting for this confirmation from the FDA,” says Wittbjer. “At the moment the plant-based protein categories are all trending but I presume since it’s green it will be most welcome in beverages,” she adds, in terms of potential applications. “LENTEIN imparts a vibrant green color to the application and keeps its color through different temperatures. Parabel wants to make sure that we are offering not just a highly nutritional product but also an ingredient that solves problems for our customers,” he adds. Parabel’s facilities have been successfully audited against rigorous SQF standards. SQF is a HACCP based food safety and quality management system recognized by the Global Food Safety Initiative (GFSI). The GFSI is considered to be a leader in food safety advancement. Parabel’s products are also Non-GMO Project Verified and are certified Kosher and Halal. 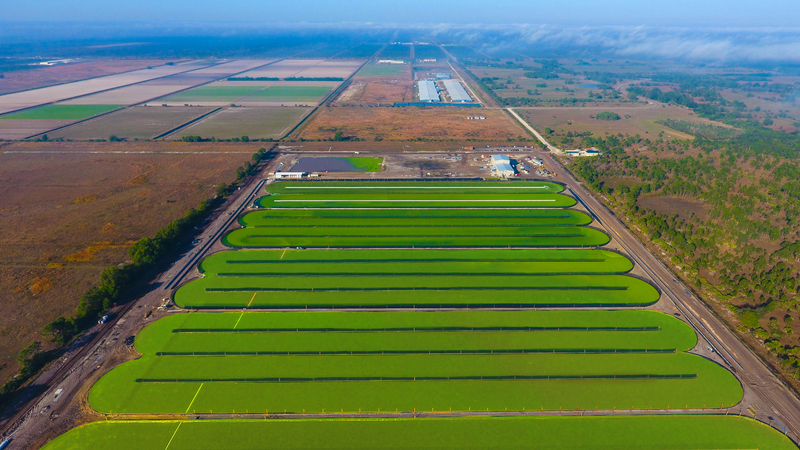 Parabel’s existing facility produces 300 tons of LENTEIN per year and the second farm, due to open early 2019, will produce up to 3,000 additional tons when completed, to meet expanding global demand for plant protein. “Parabel has a Global Intellectual Property portfolio of over 70 granted and pending patents, covering all aspects of production from crop growth to end products. This focus on our IP, since 2011, has been to ensure that Parabel has global protection in the multiple sectors of our business. A new food ingredient is not only unusual and valuable, but it is a highly disruptive event in the food chain for the world,” Tiarks concluded. Parabel USA Inc., based in Vero Beach, Florida, is a plant protein ingredient producer. The company provides plant-based, Non-GMO ingredients and promotes social and environmental benefits through its hydroponic system and community investment.